The next meeting of the Pattaya City Expats Club (PCEC) will be held on Sunday, Sept. 20. Everyone is warmly welcome. The speaker will be Dr. Sitt Tienthiti, MD a medical consultant for Absolute Health medical clinic. His topic will be “Keeping degenerative disease at bay.” The Club meets every Sunday morning at the Tavern by the Sea Restaurant located on the north end of Beach Road (part of the Amari Orchid Resort). The program starts at 10:30 a.m. with a buffet breakfast available from 9:00 to 11:00 a.m.
A Joint Chambers Eastern Seaboard Networking Evening will be held at the Courtyard Marriott Pattaya on Friday, Sept. 18 from 6.00 – 9.00 p.m. (last drinks served at 8.30 p.m.). Price of admission is THB 400 for members of BCCT, AustCham, AmCham, GTCC & SATCC, and THB 850 for non-members (cash payment at the door). For more information and reservations, go to the appropriate chamber website: www. bccthai.com, www.satcc .info, www.austchamthailand.com or www.amchamthailand.com. The Jesters Gala Party Night will be held on Saturday, Sept. 19, at the Amari Pattaya resort starting at 7 p.m. Tickets cost 2,400 baht per person and include a mouthwatering buffet dinner, free flow wine, beer and soft drinks, some great door prizes, live entertainment, a grand raffle with Honda PCX as the top prize, an auction and dancing. All tickets need to be purchased in advance. Tables of 10 can be reserved. Dress code is smart/casual. For more information or to purchase tickets, send email to: [email protected] or visit : www.care4kids.info. Green Pattaya invites volunteers to come along and help clean up the Pratamnak Soi 5 area of the city on Sunday, Sept. 20. Sheema Coffee shop will be sponsoring cool drinks for everyone and the meeting point is the Family Mart shop on Pratamnak Soi 5 at 10 a.m. sharp. For more information, go to webpage: www.facebook .com/GreenPattaya. The next Movers & Shakers networking event, sponsored by The Riviera Group, will take place at the Mantra Restaurant & Bar on Friday, Sept. 25 from 6:00 p.m. – 8:30 p.m. Entrance charge of THB 500 includes a free flow of wine, beer and soft drinks, finger food plus music and entertainment. Casual elegant or business attire is requested. For more information visit: www.facebook .com/MoversShakersPattaya. Amari Pattaya, in cooperation with the Institute of Multi-Approach in Astrology, will be holding a Fortune-Teller Festival from 11:00-20:00 on Oct. 10-11 on the first floor of Central Center Pattaya. There will be a live horoscope talk show by celebrity fortune-teller Katha Chinabanchorn at 17:00 on Saturday, 10 October and attendees will also be able to get readings from eight tellers from various types of fields, such as Guzheng, Palmistry, Numerology and Gypsy Fortune Telling. All funds raised from the event will be donated to Amari’s ‘Baht for A Better Life Foundation.’ The fee for the event is only 500 THB per person and 1,000 THB for the English version. For more information, contact Amari Pattaya on 038 418 418. The 18th Amari Watergate Bangkok & BMW Thailand Charity Midnight Run will be held on Saturday, October 17. This is the only race in Bangkok to be held at midnight and gives competitors a choice of two race distances: 6km and a half marathon length of 12km, taking place on Petchaburi Road in the heart of the city. Entry is 500 THB and 1,000 THB and all racers will receive a complimentary Puma running shirt. Participants who choose the entry donation of 1,000 THB will be entered into the grand raffle with a chance to win some fabulous prizes. Application is available online until September 30 at website: www.gotorace.com/events/category/running. 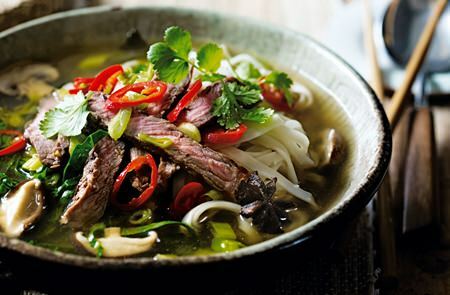 Ramen noodles are one of the featured dishes at Oasis Restaurant, Centara Grand Mirage Pattaya in September. Grab your chop sticks and enjoy one of Asia’s best-kept secrets as the talented resident chefs focus on Ramen all this month. Oasis Restaurant is open daily from 6:00 a.m. through to 11:00 p.m. For reservations, call 038 714 981. Ramen noodles at Oasis restaurant. Experience a fabulous brunch from 11:00 to 15:00 every Sunday morning at Mantra Restaurant & Bar with a selection of foods from around the world, including oysters, Alaskan king crabs, cold cuts, prime roasts, a chocolate fountain and more. Priced at THB 1,690++ per person or upgrade your brunch to include the wine buffet for an additional THB 1,490++ per person. 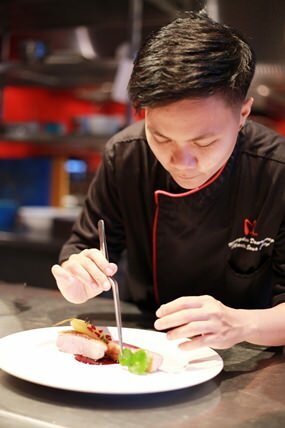 Mantra chef Wongduan Dowrueng will also be presenting her contemporary culinary highlights throughout the month of September, with individual dish prices ranging from 460 THB to 1,500 THB. Mantra Restaurant & Bar is located at the Amari Pattaya on Pattaya Beach Road. Call 038 429 591 for more information and reservations. Mantra chef Wongduan Dowrueng presents culinary delights throughout September. 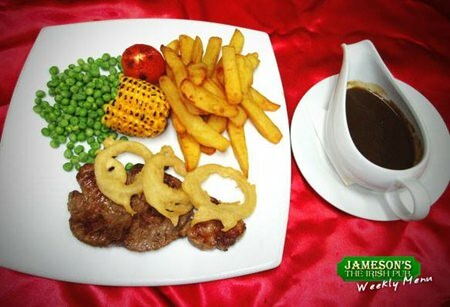 Jameson’s Pub weekly 3 course special menu 375 Baht (Net), Main Course with a Choice of Starter, Main Course Option 1: Sirloin Steak and Chips – A 200grm Sirloin Steak cooked to order with Jameson’s Chips, Peas, Onion Rings, Corn on the Cob and Grilled Tomato. Jameson’s is located on Soi Sukrudee (Soi A.R.) in central Pattaya. Call 038 361 874 for more information or visit website: www.jamesons-pattaya.com. The Thai Garden Resort offers nightly dining presentations with different themed “all you can eat” buffets at the resort poolside: Monday – pizza & pasta buffet; Tuesday – BBQ buffet; Wednesday – multi-cuisine buffet; Thursday – German buffet with roasted pig; Friday – Thai buffet; Saturday – international buffet; Sunday – steak & skewers buffet. The buffet starts from 6 p.m. until 9 p.m. All this for just 399 baht and for each paying adult, one child under 12 years gets the buffet free of change from now until the 31st of October 2015. What you see is what you pay, no additional service charges or VAT. For reservations call 038 370 614 or make your booking at www.thaigarden.com under “buffet reservation”. Thai Garden Resort is located on North Pattaya Road, 200 meters from the Dolphin roundabout and 200 meters before Tesco Lotus. East Coast Kitchen offers set menus from 3 award winning chefs. 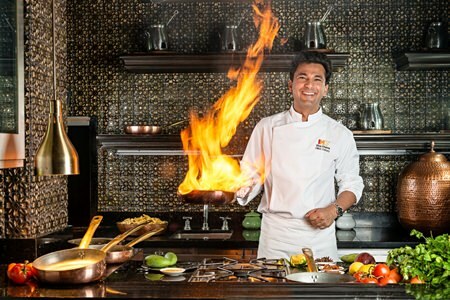 East Coast Kitchen at Holiday Inn Pattaya introduces special set menus from three culinary ambassadors, namely award-winning chefs Vikas Khanna, Theo Randall and Sam Leong who offer a selection of appetizers, main courses and desserts. 2 course menus are available from THB 790 net and 3 courses from THB 890 net. Guests can also enjoy a second glass of Wolfbass wine free. The menus are available until November 15 every day from 11 am to 10 pm on the 6th floor of the Holiday Inn Pattaya Executive Tower. For more information or reservations, call 038 725 555. Pattaya Players will be holding a Quiz Night at the White Horse Pub on Soi Khao Talo on Saturday, October 17. A buffet will be served at 6 p.m. with the quiz starting at 7.30 p.m. Entrance is 400 baht per person and includes the buffet and a chance to win some great prizes. For more information, call 089 800 5007 or visit : www.pattayaplayers.org. Horizon rooftop lounge offers to liven up guests’ Friday evenings with fresh air, outstanding views of Pattaya Bay and some great sounds to chill out to. From 8–11 p.m. every Friday, selective ladies’ cocktails, including Cosmopolitan, Margarita, Blue Mojito, Mai Tai, Long Island Iced Tea and Berry Fizz are priced at only THB 210 net. Horizon is located on the top floor of the Hilton Pattaya Hotel. For more information, call 038 253 000. Pattaya Latin Saturdays at Havana Bar, Holiday Inn: Come along and enjoy the biggest Latin party in Pattaya every Saturday evening with music CD giveaways, cocktail & food specials, dance animations & complimentary salsa lesson at 8 p.m. with Luiz Calderon of rumPUREE World Dance Studio (Bangkok). Free admission all night long (except for special events). For more information, visit webpage: www. facebook.com/SalsaThailand. The Samaritans of Thailand English Help Line operates 24 hours a day, 7 days a week to provide support to the expatriate community. English-speaking staff, trained in crisis intervention will provide active, non-judgmental and empathetic listening services on the phone. All calls will be handled on an anonymous basis and are free of charge. Please call (02) 713-6791 (24hrs a day, 7 days a week).